WooCommerce is one of the most capable ecommerce platforms in the market today. 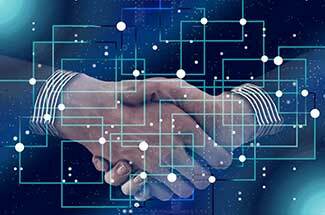 Its feature set is extensive, and because of its open-source nature, can be extended even further to address any store owner’s needs. Because its free and open-source, WooCommerce enjoys immense popularity. It’s easily the most popular ecommerce platform in the world, powering 30% of all online shops. Being a popular ecommerce product with lots of features and functionality, it’s only natural that there will be people who have questions about it. We’re not suggesting that WooCommerce has a steep learning curve, in fact it’s quite intuitive and user-friendly. But still, there are going to users who’re dealing with the more complex and technical aspects of the platform. And if they run into problems, they’ll have to look somewhere for WooCommerce support. So, if you have a question about WooCommerce, where do you go for support? With paid products such as Shopify and BigCommerce, all you’d have to do is go to their websites and then navigate to the support area where you can immediately get in touch with a support representative (most conveniently through live chat). With WooCommerce support, it involves a mix of waiting for emails and doing a bit of self-service through support documentation. In this post we are going to be talking about WooCommerce support – where to get it and how to get in contact with WooCommerce experts who will make your life easier. Is it Possible to Speak to WooCommerce Support via Phone? Let’s start with some official WooCommerce support resources. 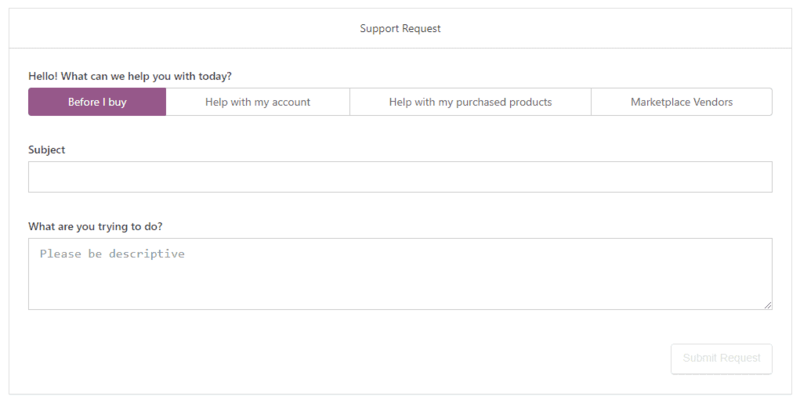 Before we talk about third-party WooCommerce support sites, it’s worth going through the support options that the free software comes with. 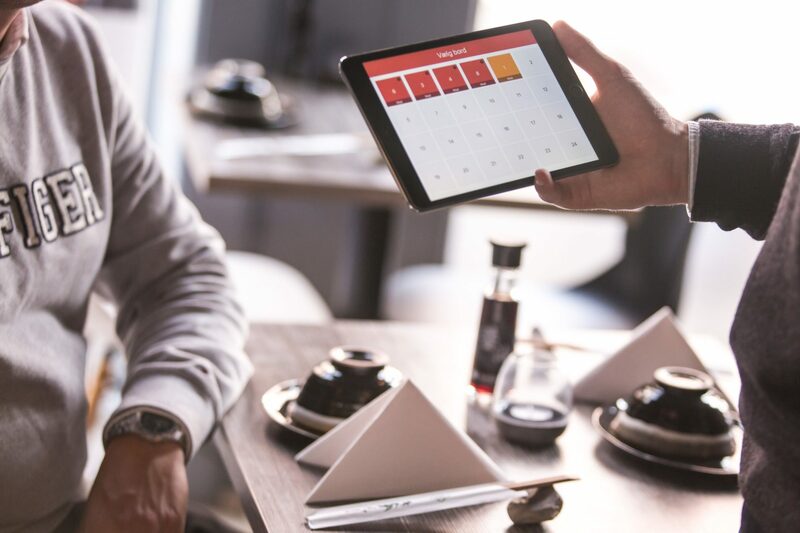 If you are an absolute newbie to the world of ecommerce platforms, you might have some basic questions like “What is a theme?”, to which you’re looking for quick answers. 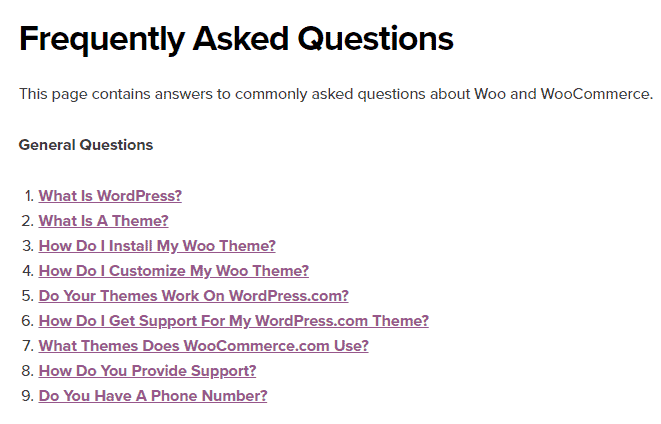 That’s exactly what the official WooCommerce FAQ section is for. As you can see, the FAQ documentation is quite extensive in its coverage of common WooCommerce support questions. If you are new to the WooCommerce platform and have a question about it, the FAQ page should be the first resource you should consult. We would have liked a search function here so that it’s easier to find the relevant questions. Hence, this is definitely a page where you will find ‘Ctrl + F’ to be of great value. 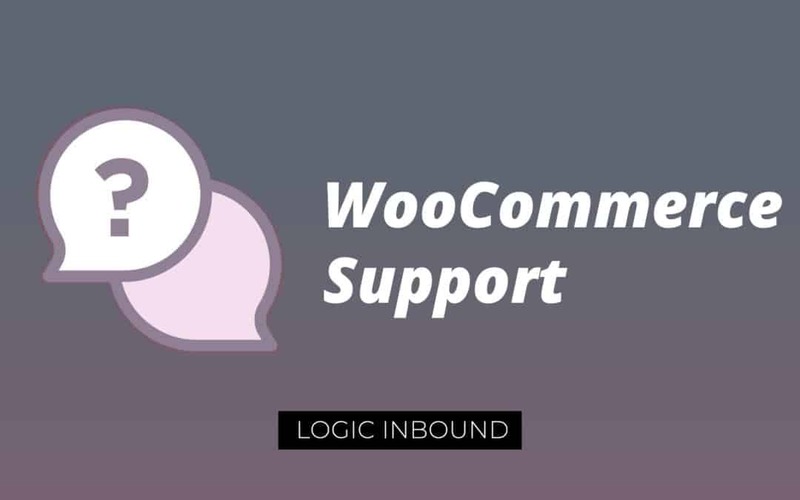 If you can’t quite find the answer to your question in the WooCommerce FAQ, it might be time to take help from WooCommerce’s inhouse support team. To do this, you’ll have to submit your query via a ticketing system. To access the ticketing system, you will need to have either a WordPress or WooCommerce account. Be sure to add as many details as possible regarding your technical query within the ticket description. Responses to a ticket submission can take days, so you have to make sure that the support rep has the information they need in order to provide you with a helpful answer. Be prepared to wait up to 48 hours after you submit a ticket for a response. Fun fact: All Automattic employees start out in the support department to get a firm grasp over their products through customer interaction. If you’re not looking to develop a WooCommerce site yourself, you can seek help from authorized WooExperts. WooExperts are developers or agencies that have been handpicked by WooCommerce to carry out any sort of development work you might need. This includes modifications to an existing site, or development from scratch. According to the WooCommerce website, these experts “know our products inside and out”. WooExperts are qualified to take on bigger projects as well. And since they’ve been chosen through WooCommerce’s own selection process, you also have the assurance that they will deliver well. To get in touch with a WooExpert, fill out this sales form with your details. Make sure to describe your project well so that you’ll be put in touch with the right development team. It is also highly possible that if you do get a reply, it will simply be a link to the relevant documentation articles. Being a free product with excellent documentation, WooCommerce does not come with a live chat support option. There also isn’t a phone number available to get in touch with a sales rep.
WooCommerce is essentially a WordPress plugin, and has its own dedicated sub-forum on the official WordPress support forums. The good thing about this forum is that it is very active, and there are lots of experienced WooCommerce users and developers to reach out to. This is where WooCommerce’s popularity works well in your favor, as its large community of followers are more than happy to help you out. What’s more, chances are that the query/problem you have has already been addressed. 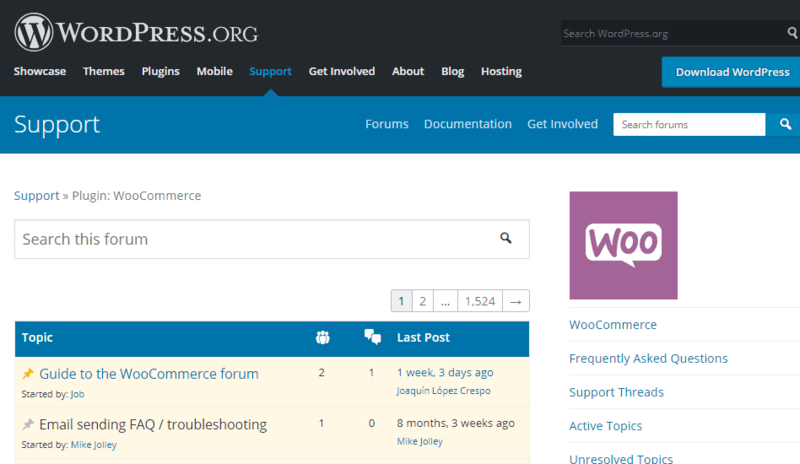 The WooCommerce support forum has over 1400 pages of solved questions. Also, it’s quite common that an Automattic employee will answer your question. Needless to say, you’re in good hands when you post a question here. Please note that you need to have a WordPress.org account to be able to post questions (and answers or replies) to this forum. Reddit, where everyone goes to get their daily dose of the internet, also has a subreddit that is dedicated to WooCommerce. The WooCommerce subreddit (r/woocommerce) is fairly active and has a community that comprises of people of all skill levels – from experienced WooCommerce developers to absolute newbies. Still, whatever your skill level is, you can post freely in this forum (as long as you don’t post spam or irrelevant questions). There’s always a chance that your question will catch the eye of an experienced developer. A word of advice: do not post basic questions such as “What is WooCommerce” here. The community will most likely feel irritated that you did not consult the official Woo documentation or FAQs beforehand. Slack is an awesome communications tools through which workplaces save time by coordinating through regular messaging rather than emails. It’s a great tool, and many companies (including Logic Inbound) are now using it for better team coordination and communication. 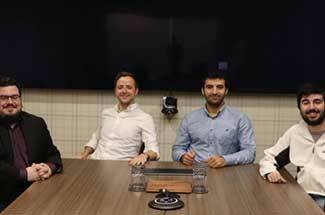 Slack has also found use outside of the workplace, because it is now being used to power internet communities. WooCommerce has a dedicated Slack community as well and has more than 4000 registered users. At any given time, you’ll find many members online here to whom you can reach out to for help. The community does seem as if it’s geared more towards developers, but even they are sure to point you in the right direction. 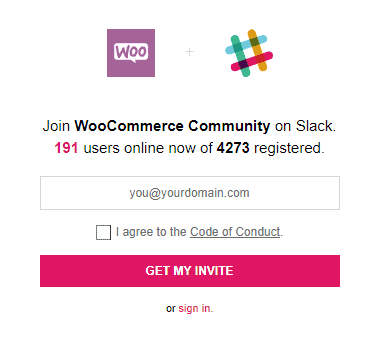 To join the WooCommerce Slack community, simply sign up here. The WordPress Stack Exchange is a helpful community where you will find swift resolutions to any queries related to the popular CMS. Since WooCommerce is essentially a WordPress plugin (and a popular one at that), you can freely post your Woo questions here as well. Bear in mind however that Stack Exchange is a community meant for designers and developers, so you have to be careful what you post about. If the question is not technical in nature, it will lead to lots of downvotes. If, however you have a technical question regarding WooCommerce, feel free to post it and you’ll get answers within hours. Quora needs no introduction – this is a community of all communities. A place where you can post a question about anything, let alone WooCommerce. Post a question here and you can expect to get at least a couple of relevant responses. One thing to keep in mind about Quora is that it is often times used for the purposes of link-building by ‘savvy’ internet marketers. 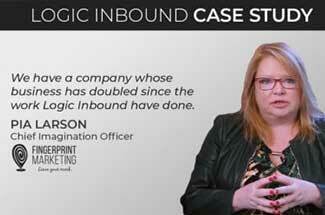 Their answers tend to be vague and the only real purpose they serve is to link back to the marketers’ website. Avoid these answers and you’ll find the Quora community to be thoroughly knowledgeable and helpful. Also, just as Stack Exchange is a community for developers, Quora is geared more towards non-technical content. As such, you should only post questions that are not explicitly coding or development related. 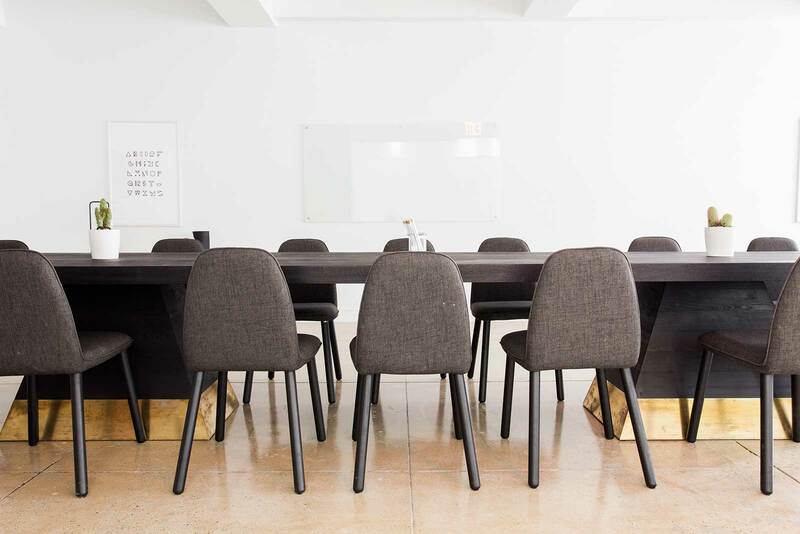 This Facebook group consists of and is a meeting place for WooCommerce/WordPress developers, store owners and enthusiasts. It has a thriving community of around 17,000 users who’re all keen to share ideas and knowledge about the world’s most popular ecommerce platform. And don’t be fooled by the group’s name – this group is not just for advanced WooCommerce users. Rather, you’ll find people of varying skill levels here, all engaging in productive discussion. Feel free to ask any question you might have regarding WooCommerce here, and you’re more than welcome to ask questions regarding more advanced concepts. 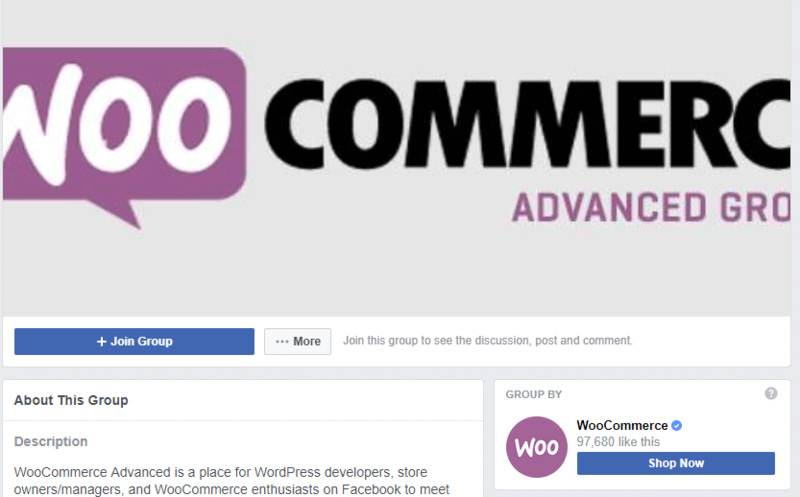 Another Facebook group with a large (over 21,000 members) and active community, WooCommerce Help & Share is a group where can talk about all things WooCommerce. The group consists of users with varying levels of WooCommerce expertise – from newbies to veteran Woo developers. Don’t hesitate to ask any question you want, as long as it’s related to WooCommerce it will be encouraged. It’s worth noting that in order to join this group, you will first have to register at WooCamp.com. Once you have an account, simply share your details upon joining the group so you can be considered as a legitimate member. What could be a better way to get help from a real person, other than meeting then in-person. Simply go to Meetup.com and look for a WooCommerce group in your area. Depending on your luck, there might be one operating around you, which is great because this presents an excellent opportunity for you to get in touch with other individuals who have a keen interest in WooCommerce. There might even be weekly WooCommerce meetups, where can learn new things, engage in discussions and ask questions to your heart’s content. What’s more, none of this will cost you a dime. If you’re looking to build a professional, full-fledged WooCommerce store, one where everything is taken care of (from store development to handling of SEO and marketing), consider enlisting the services of a qualified digital agency. Up till this point we have discussed all of the ways you can get WooCommerce support for free. With professional support you will have to pay but then you’ll get something of value in return. 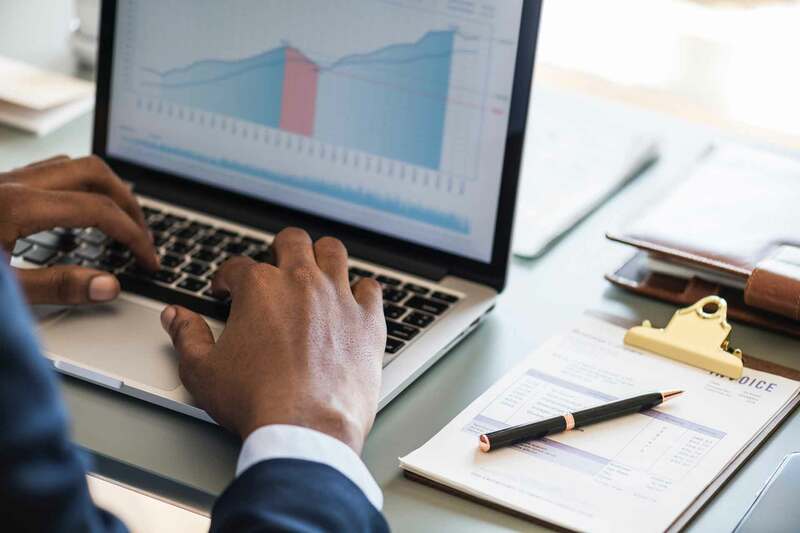 A full-service agency, like Logic Inbound for example, will conduct a detailed requirement analysis so they know exactly what you’re looking for. Full-service also means that you can avail value-added services like search engine optimization, content marketing and so on. This not only ensures that you’ll get a professionally designed and developed store, but it will also attract the kind of customer that you want. By the way, a word of advice: without proper internet marketing, your WooCommerce store will not attract much in the name of traffic. Without traffic, the store will not generate any revenue. Like WPBeginner, WooBeginner is an excellent resource for those of you who’re just starting out with the platform. This site offers a regular dose of WooCommerce articles and tutorials, all meant to guide beginners in the right way. Content here is not just limited to beginners though, you will find plenty of articles detailing with more advanced topics. If you like the content here, be sure to subscribe to their newsletter, which often contains tips and tricks and other content related to WooCommerce and ecommerce in general. SiteGround is already quite popular with WordPress.org users and is recommended for WooCommerce sites as well. What’s more, if you opt for one of their specialized WooCommerce hosting plans, you get top-notch customer support around the clock. With SiteGround’s special WooCommerce plan, you won’t need to install WordPress and WooCommerce, as it will already be done once you sign up for the service. All you have to do is start building your store. Additionally, SiteGround boasts PCI compliance (like Shopify) and offers free SSL certificates. You simply cannot skimp on SSL certificates when you open an ecommerce site, but they can be a significant operating cost in your WooCommerce cost if you opt for a normal hosting plan which does not include free SSL. Some other perks of the specialized WooCommerce hosting plan is that you get automatic platform updates and daily site backups. That might not sound like much but automated maintenance like this will make your life easier as a site owner. There are many agencies out there who claim to be WooCommerce experts. However, the thing is that many agencies specializing in WordPress will start offering WooCommerce services just because it happens to be a WordPress plugin. Make no mistake, WooCommerce is a full-fledged ecommerce platform, and needs to be handled by someone who has years of experience with it. Many agencies will assign their WordPress development teams to your project, but that will result in a sub-par and sub-optimal ecommerce store. The agency should have inhouse WooThemes experts – developers who’re skilled with maintenance and development on specialized WooCommerce themes. The developers should be familiar with the usual errors caused by WooCommerce themes, as it’s a fairly common occurrence. If you’re looking to get a custom designed WooCommerce template developed by the agency, make sure that the designers/developers are well-versed in the best practices of creating Woo themes. As we mentioned in another article, WooCommerce plugins are somewhat of a necessity. Even though the platform is fairly extensive in its core feature set, I cannot and does not cover all bases. For example, it’s normal for ecommerce shops to have live chat these days, and in WooCommerce this functionality is available through several plugins. The thing is, plugins can also be fiddly to install and use. There’s also a chance that your site will start experiencing random glitches and response issues because of a pesky plugin. For this reason, the agency you hire to develop your Woo shop should offer plugin support as a core service. The developers should be knowledgeable about popular plugins so that only plugins that provide real value are used on your store. Any WooCommerce will run into its fair share of bugs and problems when in operation. However, as a professional store owner you have to make sure that you have access to reliable and helpful support. Any time that is wasted getting in contact with support or waiting for them will result in lost revenue for your business. When hiring an agency, ask extensively about their support services. See if they offer round the clock support, and that the support department is staffed adequately. If you have 24-hour access to support but have to wait a disproportionate amount of time for your turn, it’s pretty meaningless. WooCommerce is a great platform to build your online store on. With its robust feature set and strong third-party developer support, you’ll find nearly all your functional needs taken care of. Hopefully, by reading this article you’ll have variety of reliable ways of getting help for your Woo troubles. We always recommend that you start by searching through the excellent WooCommerce documentation. If you can’t find any answers there, the various communities we have listed will be more than happy to guide you. If you’re interested in WooCommerce as an ecommerce platform but not really in developing a site yourself, you can always avail help from authorized WooExperts or reputable full service digital agencies which specialize in WooCommerce development.